You can't get more environmentally friendly than making a dish towel out of cotton yarn and a recyced button. For those who agree that one of a kind handmade items enrich our lives, these make awesome housewarming and shower gifts. Use one multi-color ball of cotton yarn, or left over cotton from your stash. "Great pattern- super easy and looks great "
"I Loooove this pattern! Super duper awesome seller"
"So quick and easy that I made 3 for the church bizarre!" 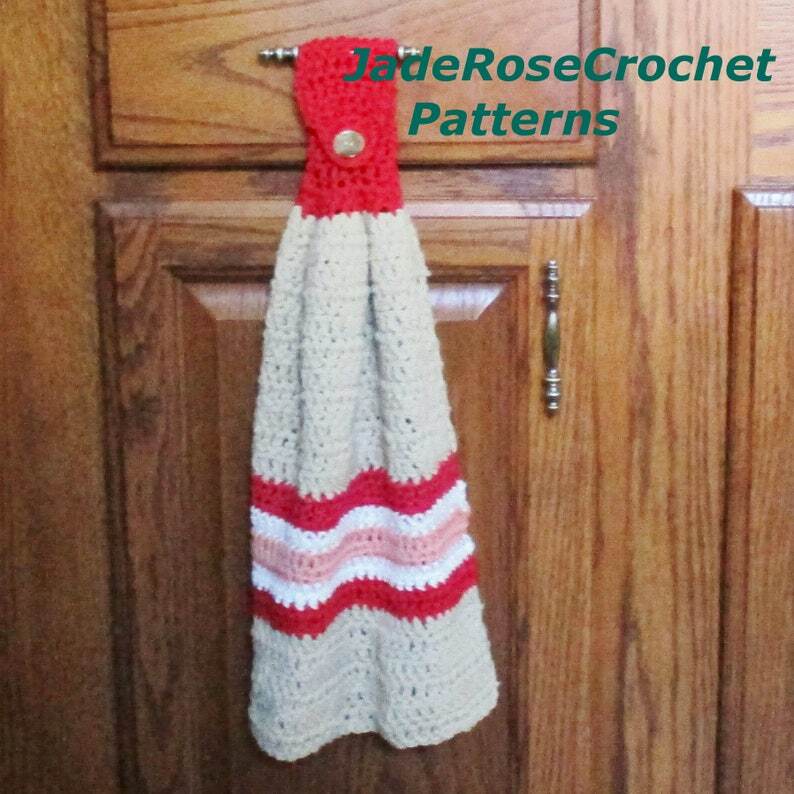 Feel free to sell any items you make using this pattern as long as credit for the design is given to JadeRoseCrochet. Thank you for a nice easy pattern. I love this pattern! Very cute and very easy to make.